These ridiculously cute crisped rice treats swap out the traditional butter (or margarine) for bacon fat, which lends a slightly savory note and helps balance out all that “marshmallowy” sweetness. 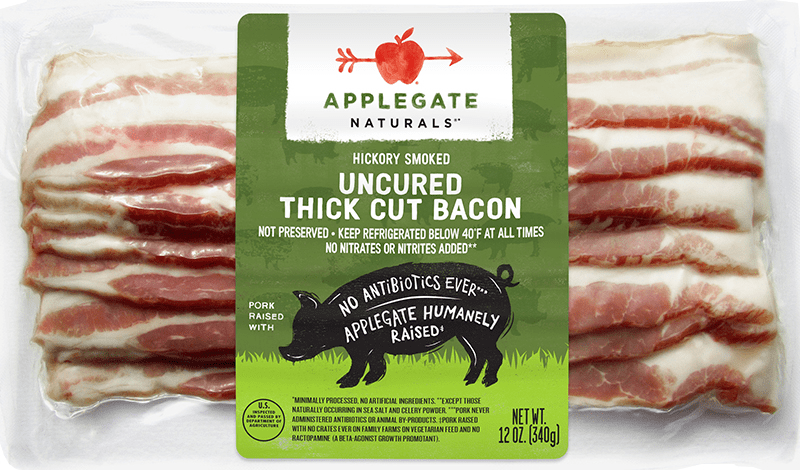 Cooking an 8-ounce package of Applegate Naturals® Sunday Bacon® Brand will give you just what you need to make this recipe. Melt the bacon fat in a large deep skillet over medium-low heat. Add the marshmallows and stir with a rubber spatula until melted and smooth. If desired, stir in a few drops of food coloring to tint the mixture orange. Remove from the heat and stir in the cereal until completely combined. Top each with a peanut butter cup for a stem and a curled piece of licorice for a vine. The treats will keep in an airtight container for up to 2 days.